Expanding upon the notion of informal loans Project Micro-Float (M-Flo) asks participants to personalize IOU notes, called mIOUs (my IOU). 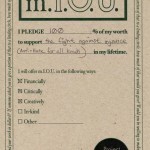 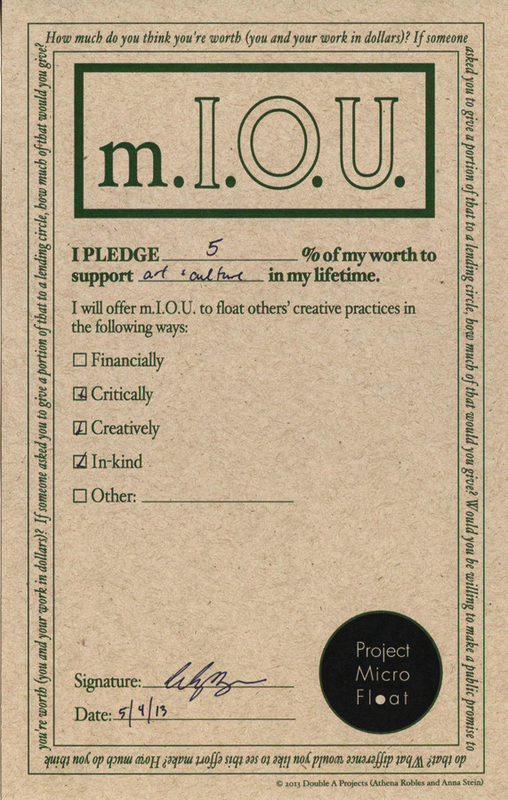 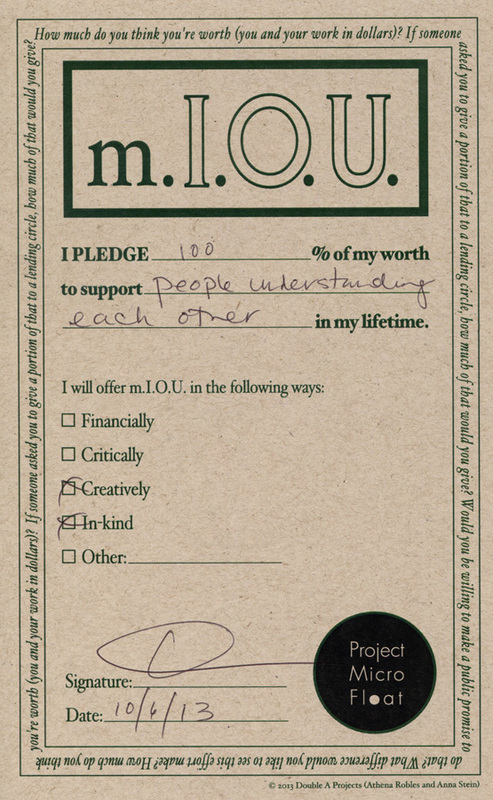 mIOU pledges are public promises, rather than amounts to be collected and are symbolic of the potential in examining self-worth and generating a circle of giving. 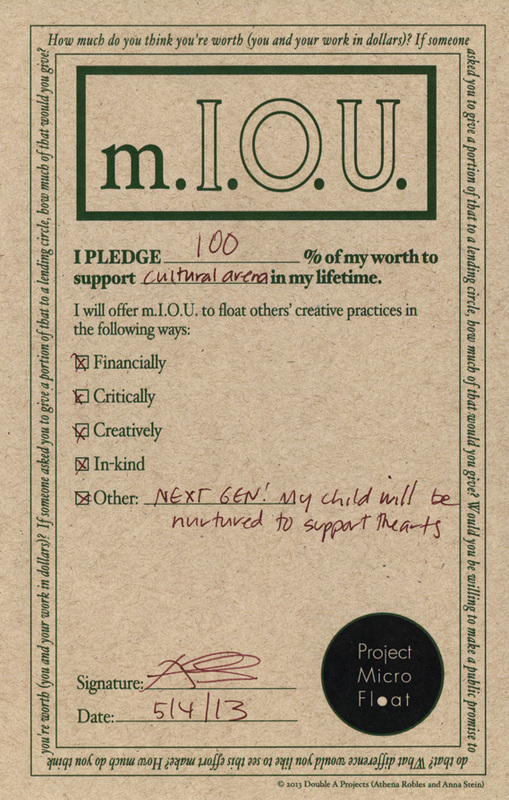 They are meant to inspire others to endorse arts and culture or another personal cause in their lifetime. The commitment created by a mIOU represents a spirit and willingness to do more with limited resources.